Shawarma was imported into Nigeria by the Lebanese but today, more Nigerians eat Shawarma than the Lebanese. 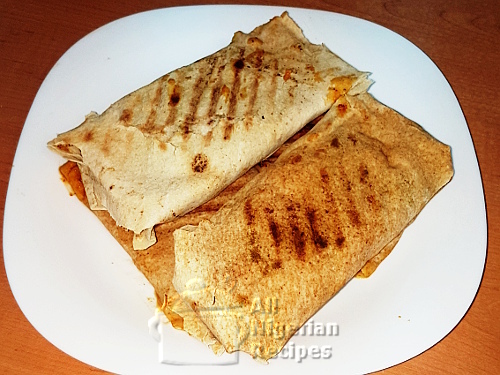 On this page, I will show how to make Chicken Shawarma in the video below. 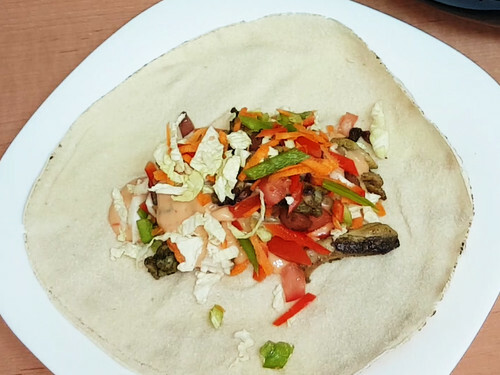 Pita bread or shawarma bread or Lebanese bread is available at SPAR supermarkets in Nigeria. You get 2 Shawarma wrappers from 1 pita bread. 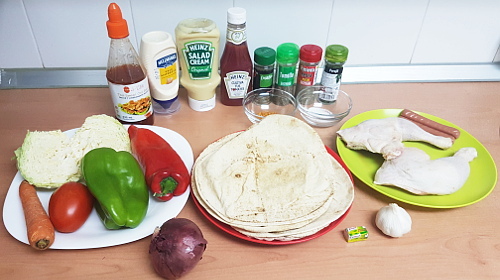 These are what you will need to season the chicken which forms part of the shawarma filling. Watch the video to see the exact quantities of ingredients I added. Serve with a chilled drink especially Nigerian Chapman.